Another gray day, another splash of color. Comet 21P / Giacobini-Zinner sends some of its nucleus across Earth's skies every six and a half years in the form of the Draconid meteor showers. 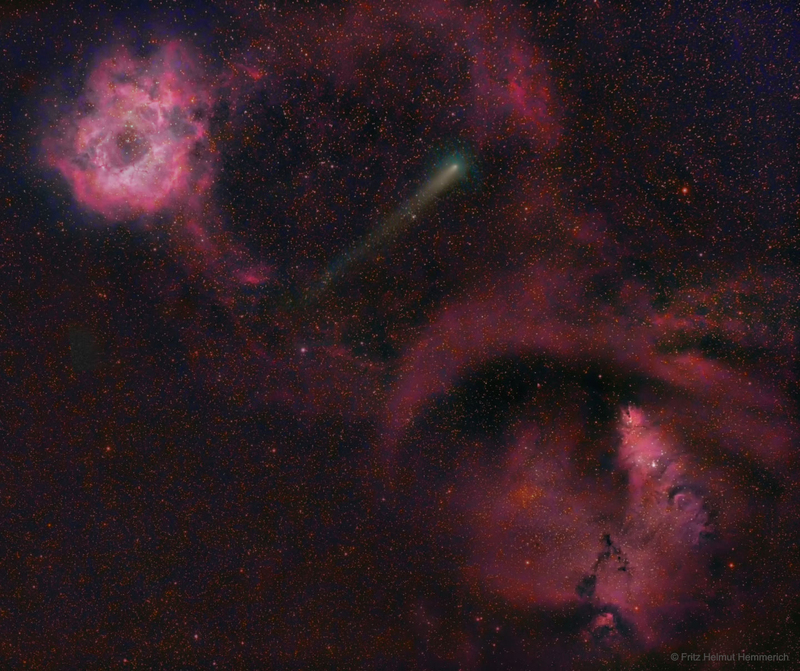 The comet is pictured on its approach two weeks ago, between the Rosette (upper left) and Cone (lower right) nebulae.